Following in their parents’ footsteps may have led them to Bates, but children of alumni blaze their own trails on campus — and their families couldn’t be more proud. She quickly found her own voice, however — and became a voice of Bates — as a DJ and general manager of the campus radio station, WRBC-FM. Of the 436 graduates this year, 22 have at least one parent who went to Bates. Seventy-four graduates have Bates siblings or other relatives. 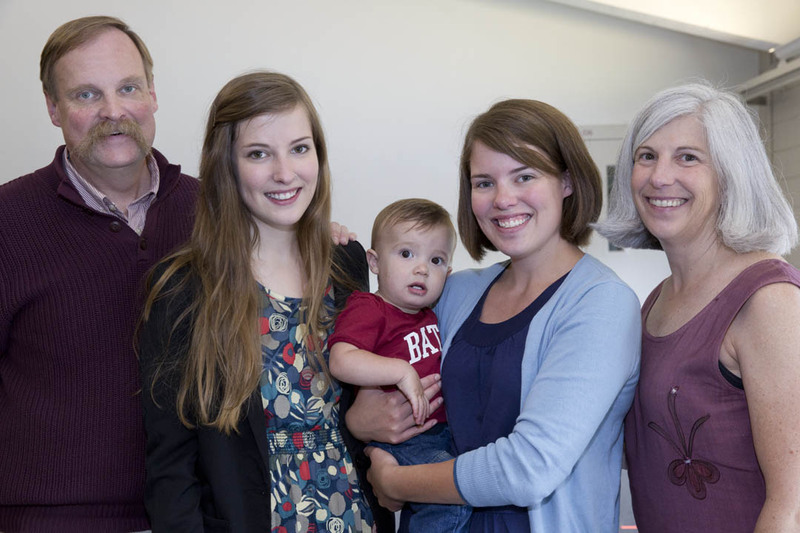 The Wasons returned to Bates to celebrate younger daughter Sarah’s graduation. From left are Donald Wason ’79 with daughters Sarah ’13 and Rebecca Wason St. Cyr ’09 (holding her son, a future Bates Class of 2034), and wife Nancy ’81. Photo by Phyllis Graber Jensen/Bates College. This year’s legacy families come from as far away as Malaysia and as close as Freeport. 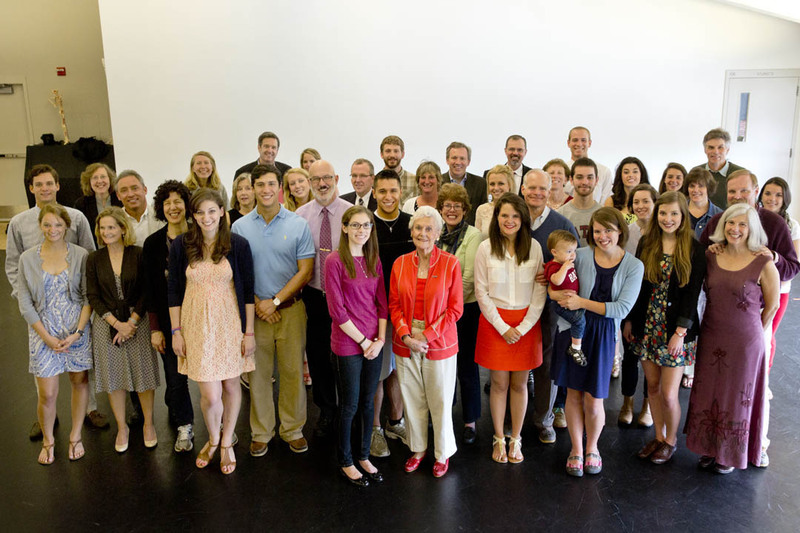 Some alumni parents have underscored their connection to Bates as volunteers. Legacy families pose for a group photo on Saturday, May 25, 2013. Of the 436 graduates in the Class of 2013, 74 have a parent or other relative who graduated from Bates. Photo by Phyllis Graber Jensen/Bates College. Watching their second daughter graduate from Bates has shaped Donald and Nancy’s own relationship with the college — beyond just discovering WRBC-FM.